Doctors and nurses in clinics, hospitals and other healthcare facilities have a team of people carrying out administrative operations in the background. These people ensure the smooth functioning of a healthcare facility. Healthcare administration is the field related to the management of hospitals and healthcare related facilities. If you want to work in the healthcare industry on the management side, then acquiring an education in healthcare administration will be necessary for you. Healthcare administrators plan and supervise the medical staff. They can work in any healthcare facility ranging from small clinics to large hospitals and medical centers. Healthcare administration degrees can open doors for people looking to work in the healthcare sector. Healthcare administration programs teach students about business operations and management principles, theories and applications. Students also learn skills related to decision making, analytical thinking and leadership. Healthcare administrators may work in positions such as hospital administrator, department director, medical office manager, healthcare consultant, administrative assistant and more. The level of educational qualification a healthcare administrator has combined with the years of work experience reflects on the salary that can be earned. The US Bureau of Labor Statistics reports that medical and health services manager earned a median annual wage of $92,810 in May 2014, with those in the top-ten percent possibly in senior administrative roles, pulling in over $161,150. A Master’s degree can increase the chances of reaching the senior management positions in healthcare administration. A Health Care Administrator is primarily responsible for effective management of the health related facilities to ensure the smooth coordination and implementation of the tasks that are carried out by medical professionals. The increased demand of healthcare facilities has lead to the increase in employment of hundreds of doctors, nurses and health experts in hospitals and clinics. With this, the need for effective administration of these facilities has also increase. You can also possibly work as a Health Care Administrator generalist or a specialist. Generalists are expected to carry out the overall administration related tasks while a specialist works in one specific area that may include Budgeting, Human Resources, Policy Analysis or Marketing. How long is the Bachelors of Health Administration degree? Where can I work after obtaining the Healthcare Administration degree? What are the education requisites to become a hospital administrator? Which degree is required for studying hospital administration? Can you be a healthcare administrator with a Bachelor in Nutrition? What kind of job can I get with an Associates of Arts in Healthcare Administration degree? Are there affordable accelerated accredited bachelor in healthcare administration? How long does it take to get medical health administration degree? Q:What are the different Hospital Administration degree programs that Kaplan International offers? Q:How much can I earn after the completion of my Health Administration degrees program? A:Upon completion of your Health Administration degrees program you can earn 34,000 to 140,000 US dollars annually. Q:How much can I earn after completion of the Healthcare Administration programs? A:You can earn 34,000 to 140,000 US dollars per annum upon completion of the Healthcare Administration programs. Q:How long is the Bachelors of Health Administration degree? A:The Bachelors of Health Administration degree is a 4 years program that can be completed through campus based or online schools. Q:Where can I work after obtaining the Healthcare Administration degree? A:After obtaining the Healthcare Administration degree program you can work in Finance, Human resources, Information technology, Insurance and Patient services. Q:What are the areas of study of the Healthcare Administration degrees? Q:What courses are offered in the Health Care Administration degrees? A:The areas of study for the Health care Administration degrees include Human resource management, Healthcare systems, Organizational strategy, Healthcare finance and accounting, Healthcare marketing, Healthcare law, Management of health organizations, Healthcare operations and Healthcare policy. Q:Where can I work after completion of my Bachelors in Healthcare Administration programs? A:After successful completion of your Bachelors in Health Administration programs you can opt for jobs in the fields of Finance, Human resources, Information technology and Patient services. Q:What degrees should I opt for to become healthcare administrator? A:You can opt for any degree at or website for the post of Healthcare Administrator. Q:How long do i go to school for to be a hospital administrator? A:You may just need to go to the school for 1 year to be a hospital administrator. Q:What are the education requisites to become a hospital administrator? A:Mostly hospitals require a Master degree for the post of a hospital administrator. You could get a Masters in Health Services Administration or Master of Healthcare Administration. There are various other degrees as well but these provide the best combination of diverse coursework with practical experience in the form of internship. Q:what is required from a health care administrator? A:A Health Care Administrator's duty is to direct, plan, coordinate and supervise the delivery of health care at their facility. They are required to be technologically aware, know the medical terminology, should focus on preventive health care and should have clinical as well as administrative skills. Q:Can I work in human resources department with a Health Administration degree? A:Yes. You can surely work in human resource department with a health administration degree. In fact, it will be much more beneficial for you to work in the human resource department of a healthcare institution or a facility. This will offer you the chance of staying in touch with your acquired degree program and also experience working in human resources department. It will also prove beneficial to the healthcare organization you will be working for, since you will have a comprehensive insight to the field you will be hiring/managing human resource for. Q:What is the difference between the job description of a healthcare administrator and hospital administrator? A:A hospital administrator is typically required to ensure that all departments in the hospital are managed promptly. These professionals may be assigned duties such as maintenance of medical equipments and machinery like x-ray machines or sonography tools. However, healthcare administrators can be found in a variety of medical settings such as nursing homes and clinics. These skilled individuals are mostly responsible for carrying out tasks like billing and coding. The job descriptions of all professionals vary with work settings and the sector they are employed in. Q:Which are the different areas where health care administrators can work after earning proper qualifications in this field? A:Individuals who have a earned a degree in healthcare administration can work in a number of different areas. The type of job and level of job position will vary with level of qualification and experience. Some common areas where healthcare administrators can work include: clinics, hospitals, nursing homes, rehabilitation centers, outpatient care centers, home healthcare organizations, and group physician practices. Q:What are the different types of healthcare administrative jobs that students can pursue with a degree in healthcare administration? A:The healthcare administration sector offers a wide range of job positions to students and fresh graduates. Some of the leading job positions in this field are: facility specialist, nursing home administrator, assistant administrator, clinical manager, and health information manager. These jobs are available in a number of medical settings such as clinics, hospitals, laboratories, rehabilitation centers, and old homes. Q:How can I get the healthcare administrator education? A:There are several options available to pursue education in the field of healthcare administration. First of all, you need to decide if you want to opt for an online school or a campus-based school. Secondly, you need to decide upon the degree you want to pursue. 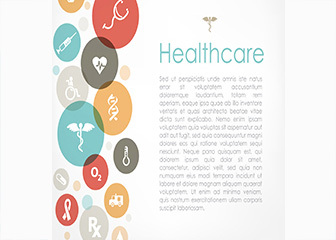 There are various degree options to enter the field of healthcare administration. If you wish to enter the workforce quickly, you can opt for the certificate in health administration. If you require comprehensive professional education, you can take up the bachelor of sciences in healthcare administration followed by the masters and the PhD program. Q:Which degree is required for studying hospital administration? A:There are several degrees that can be pursued in order to study hospital administration, which is more commonly known as healthcare administration. Healthcare administration degrees are offered in certificate, associate, bachelor, masters and doctoral level. Certificate, associate and bachelor’s degrees are introductory level degrees which do not require any prior education in the related field, except a high school diploma. Q:Can you be a healthcare administrator with a Bachelor in Nutrition? A:Yes. You can opt for the Bachelor in Nutrition Sciences with concentration in Healthcare Administration. This will allow you to be a healthcare administrator alongside pursuing the bachelor in nutrition degree program. The two courses together produce a good combination of specialized healthcare administration in the field of nutrition. Q:In which different types of medical institutions can students work with Online Healthcare Administration Degrees? A:There are a number of different medical institutions, which require the services of healthcare administrators. Students with Online Healthcare Administration Degrees can join medial institutions such as private hospitals, public hospitals, private clinics, laboratories, diagnostic centers, mental institutions, rehabilitation centers, old homes, children’s hospitals, and many more. These areas are just a few of the options students can choose from to pursue jobs in healthcare administration. Q:What kind of job can I get with an Associates of Arts in Healthcare Administration degree? A:An Associate of Arts with concentration in Healthcare Administration degree is a two year undergraduate degree. This degree program is designed to provide students with basic knowledge of the chosen field such as healthcare administration. The degree program opens up entry level job opportunities in the relevant professional field. The types of jobs that can pursued with this degree are: health/medical interpreter, health services assistant, medical records technician, medical secretary, patient representative, medical transcriptionist, medical biller and coder, and many more. Q:How long does it take to go to school for healthcare administration? A:The amount of time it will take you to complete a course in healthcare administration depends on the nature of the degree you are pursuing. If you are going for a certification or diploma course, it will take you anywhere between six months to a year to complete the course. An associate's degree takes up to two years while bachelor's degrees can take up to four years to complete. If you are going for an MBA or master's degree, it will take you 1 to 2 years to complete. Q:My hospital administration degree plan doesn't seem to fit in to my existing work schedule, what should I do? A:If you are a working individual who wishes to continue their education then the best option for you is to enroll into an online Hospital Administration Degree. The degree plan and class schedules of online courses are flexible and can easily be fit into your existing schedule as you would not be required to travel to a physical location and can easily complete your classes from home, over the internet. Q:What is the required duration to be get the basic Hospital Administrator degree? A:In order to get the hospital administrator degree, you need to complete a minimum of Masters of Science or the Master of Business Administration in Healthcare Management. The degree is a two year program if pursued in the traditional campus based institutes. However, it can be completed in less or more time if its pursued in a different type of graduate program such as the accelerated masters, which can be completed in 18 months and the executive masters which takes more than three years to complete. Q:Which Healthcare Administration schools sn Chicago are ranked as the best? A:Healthcare administration has become an important aspect of the medical field. More and more students are specializing in this area as it offers a bright professional outlook. Students in Chicago can enroll in the following healthcare administration schools for higher education in this field: Northwestern University in Chicago, University of Illinois, or Northwestern University. Q:What does it take to become a Healthcare Administrator? A:To become Healthcare Administrator, you will need any of the following degrees, Bachelor of Science in Health care Administration, Master of Healthcare Administration, MBA in Healthcare Administration or PhD in Healthcare Administration. The schools currently offering these programs are Hodges University, Saint Joseph's University, Colorado Technical University Online and American InterContinental University Online. Q:While searching for online Healthcare Administration degree programs, I came across Economics of Health Care course. Can you brief me about it? A:There are a number of online Healthcare Administration degree programs that you can opt for. Economics in Healthcare is a three credit hour course and is often included in the curriculum of Healthcare management programs. In this course the students get to study micro and macroeconomics principles implemented in Healthcare industry. Q:While going through the healthcare administration degree, there was mention of the course on Business Ethics. What are the contents of this course? A:It is common to get to read about the course on Business Ethics while going through the Healthcare Administration Degree. This course usually is of 3 credits in total. It is structured to provide students with strong understanding of the current ethical issues of the business world. Students are then also given hands on experience. Q:What are the core areas of study in healthcare administration degree programs? A:Health care administration degrees are designed in such a manner to train individuals to the changing needs of the healthcare industry. Some of the core areas of study include: Introduction to Health Services Management, Health Services Information Systems, Health Rights and Responsibilities, Health Services Finance, Healthcare Policy and Managed Care and Health Insurance. Q:What level of online healthcare administration degree programs are available? A:Students interested in healthcare administration program can pursue a number of online degrees to increase their knowledge base and career prospects as well. From undergraduate, graduate to masters and doctoral levels, the field offers a number of online degrees in healthcare administration. Most students choose to pursue these degrees online since they prefer to continue working while studying for a higher degree. Q:If I'm currently working as a LPN nurse, can I still pursue online healthcare administration programs? A:Yes, whether you're working as a LPN nurse or an RN nurse, you can always opt for further qualifications such as healthcare administration programs. This will add to your skill set and help you prepare for better job opportunities in the healthcare field. Healthcare administration programs are available online as well as through campus based schools. Q:What can you tell me about a masters degree in healthcare administration? A:A master's degree in healthcare administration also referred as MHA trains health care administrators and managers to function in a more efficient manner while handling the business management and financial processes. The degree also at times requires practical experience and after completion it you can get you top management jobs in the healthcare industry. Q:How is a hospital administration degree online different from campus based program? A:A hospital administration degree online essentially teaches the same theory taught in campus based programs. The exact coursework and duration may vary. Also, the teaching methods in online programs include video tutorials and online lecturing instead of traditional lecture methods. The total cost of online degree programs is also much less as compared to campus based programs. Q:A medical administration degree will prepare me for what kind of careers? A:A degree in medical administration will prepare you for the following job positions: medical secretaries, medical administrator, and database manager. The core aim of the program is help you understand the various administrative tasks performed in healthcare institutions. The job position you may wish to pursue will also depend upon the level of degree you have earned. Q:Is it easy to find an affordable accelerated accredited bachelor in healthcare administration online? A:To find an affordable online degree in healthcare administration will require a thorough search. You can go online and browse through degree options available at healthcare schools. Normally online programs are less expensive as compared to campus based institutes. It is recommended that you also compare the tuition costs of each program and see if its fits your budget. Q:Are there affordable accelerated accredited bachelor in healthcare administration? A:Yes, many accredited colleges and institutions offer affordable, accelerated, accredited bachelor degrees in health care administration. Online degrees are quite popular as students get to study at their own pace and convenience. They can choose to finish the degree early by taking more credits at their own discretion by enrolling in accelerated programs. Q:Can I study health care administration and then went to medical school? A:Health care administration is a different field than medical. However, individuals can shift to health care administration after a medical degree but the reverse is usually not possible. Medical schools generally lead to professions such as physicians, dentists, and nurses. Health care administration degrees focus on the management of health care organizations and resources. Q:How long does it take to get bachelors in healthcare administration? A:A bachelor's degree in health care administration normally takes four years to complete. However, if you opt for an online program, you can complete courses at your own pace. You may take less time to complete the degree or you may take more than four years. The exact duration of an online degree is determined by the students as well as the institute. Q:How long does it take to get medical health administration degree? A:The duration of a medical health administration degree normally depends on the academic level you are at. A bachelor's degree in medical health administration will normally take 4 years to complete. An associate's degree in medical health administration can be completed in 2 years. A master's degree may be completed in 2 years, while a doctoral program in this field may take up to 5 years to complete. Q:What can you do with a healthcare administration degree? A:Healthcare administration is a growing field that focuses upon the administrative running of healthcare institutions and delivery system. You can seek many administrative and managerial level jobs with a degree in healthcare administration. The area of specialization and level of degree will determine what job position you can pursue. Some common job positions include: medical office manager, health services manager, healthcare project manager, health information manager, and more. The income level will vary from job to job. According to the US Bureau of Labor Statistics, medical and health service managers made a median annual income of $88,580 in 2012.